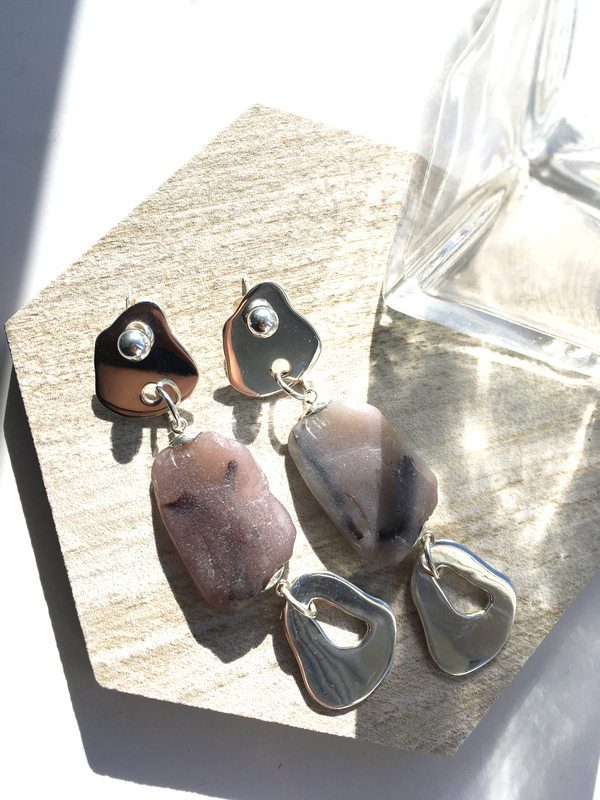 Subtly hanging pendants of sterling silver, abstract pebble-shapes and bio-gems embedded with strands of banana peel fibers. Can be worn on its own as ball studs or together with the dangle pendants to create a different look. Approx. 7cm drop. Please note each piece we create is completely unique and will vary slightly in pattern and colour.